Are you looking for the best popcorn kernels? This here is your definitive guide. There’s no two ways about it. Popcorn is delicious. Do you like popcorn and what are the best popcorn kernels in the market today? Plain or buttered. With caramel or chili powder. Cheese flavored or sprinkled with salt. There are plenty of ways popcorn can be cooked and each of them is as delicious as the rest. Making popcorn the perfect afternoon snack for when you’re relaxing at home. One of popcorn’s most convenient aspect is just how easy it is to make them, as you can buy them pre-popped or use your microwave at home. However, there’s a third option you should consider: Buying the best kernels to pop and flavor yourself. Also known as “snowflakes”, this is the kind of popcorn that pops in your mind when you think ‘popcorn’. They’re small, light and very crunchy. Perfect to be flavored with butter, salt and maybe chili powder. This particular kind of popcorn is beautiful to look at since they’re almost perfectly round. Because they’re larger and they have more surface area they can stand to be coated with caramel (and even chocolate) much better than the butterfly kind. Plus, once coated they keep their crisp much longer! Now that we’ve covered the types of popcorn and why popping your own is much better, let’s make things easier by letting you know what are the best brands of popcorn kernels out there. After all, there are thousands of brands out there so this is bound to save you some time. While yellow corn is the most popular when it comes to popcorn, white corn has a lot of flavor to offer and this is a perfect example of that. 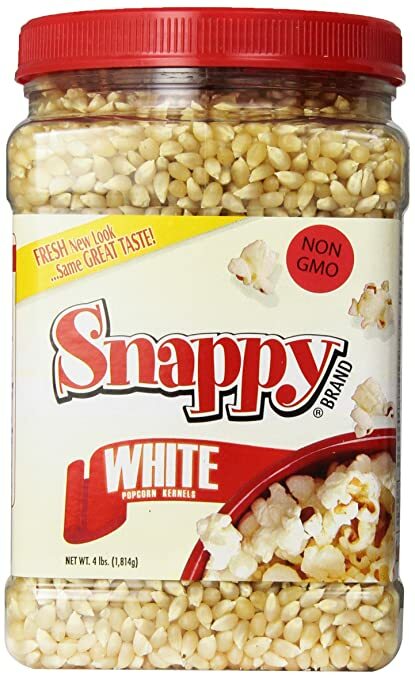 Snappy’s white popcorn is soft, tender and practically hull-less while still being very crunchy, making them one of the best choices out there. 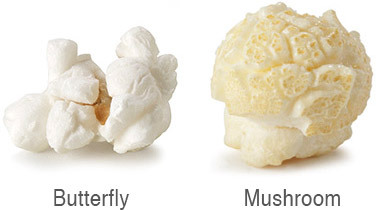 This butterfly popcorn is great on its own, which its perfectly crisp white color, but they’re also perfect with powdered condiments, such as chili powder and even cheddar, as the powder gets in all the nooks and crannies, ensuring a lot of flavor on each popcorn. The kernels are rather small and while that’s not a problem if you’re cooking using your stovetop or even your microwave it will cause you some troubles if you’re using a popcorn popper. There’s a really good reason why commercial popcorn poppers require kernels of a certain size and, unless you’re a fan of picking up kernels from every corner of your kitchen, we wouldn’t recommend this brand if you insist on using a popcorn popper. 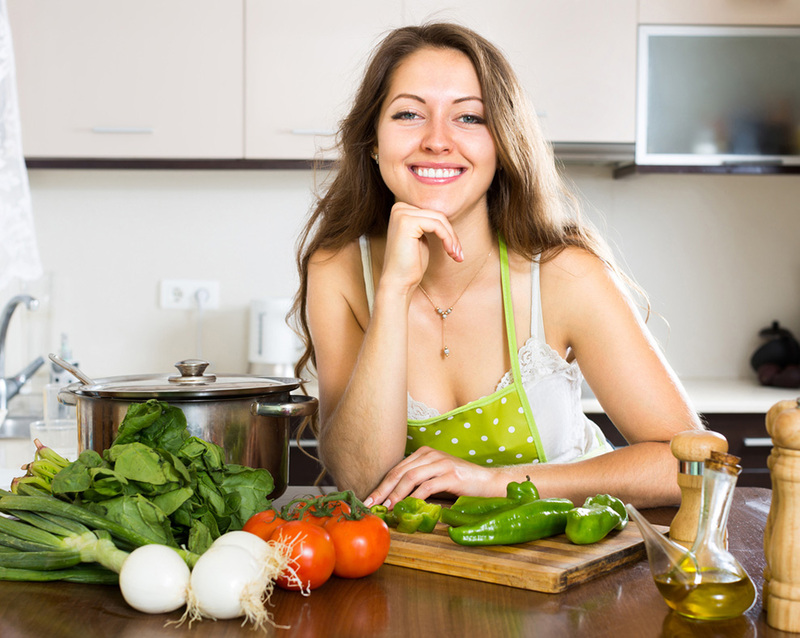 However, we will recommend them if you’re using a stovetop as their small size means you’ll have more room for the and they take less to cook than larger kernels. Another good aspect of this brand, albeit a rather simple one, is the reusable container which not only can be washed and used for all kinds of things but was built in a way that lets it sit on top of all kinds of surfaces without falling. 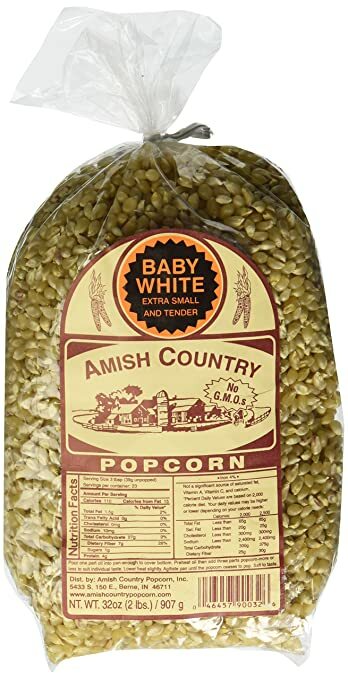 Another great example of the deliciousness that is white corn, Baby White Amish Country Popcorn is an excellent option for those looking for a delicious and comfortable option. Why comfortable? Because this particular kind of kernels are almost completely hull-less, making them a great option for people with delicate teeth or simply people who want fluffy and light popcorns. The kernels are rather small (as white corn is generally smaller than yellow corn) and aren’t compatible with popcorn poppers which means you’ll have to cook these on the stovetop. However, the extra effort is more than worth it because Amish Country Popcorn is delicious, even when combined with nothing else. Sadly, the small kernel size also translates to small popcorn size because tender and delicious as they are, the popcorn that comes from these kernels is rather…tiny, so you should keep that in mind. If size isn’t a concern of yours then, by all means, try Amish Country’s popcorn as the taste really is something to write home about. Another aspect worth considering, though whether it’s good or bad depends entirely on your preference, is the container. These kernels come bagged so they won’t take a lot of space in your pantry but you won’t be able to reuse the container as anything else. When it comes to popcorn brands Orville always gets a special mention and it’s easy to see why; we don’t throw around the term ‘high quality popcorn’ easily but we feel it’s deserved this time. The popcorns themselves are delicious, with a lot of crunch and non-GMO, which is always a plus when you’re looking for a healthy snack. The size of the kernels means that you can actually use these with a popcorn popper which will save you time and effort when making your popcorn at home. 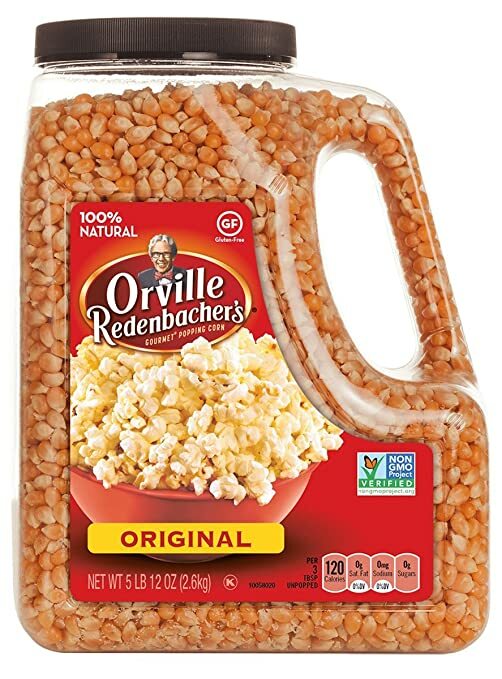 If you’re a popcorn fanatic then Orville’s is one of your best bets, not only because it’s a household name but also because you’ll be able to purchase from 5 pounds to 11 pounds of kernel, all in the same place! Another positive aspect is the container used to house these kernels. It’s solidly built and reusable. Plus. The hollow handle means you won’t be cheated out of a single kernel by tricky packaging. Although, sometimes the kernels will get stuck there so keep that in mind. Talking about the kernels, not all of them pop, which is almost expected from popcorn but still an unpleasant surprise, particularly compared to the previous two brands. Still, this is a solid option for those looking for organic, yellow corn butterfly popcorn that’s delicious both on its own or with some kind of seasoning. “Gourmet” is a term that gets thrown around a lot without really meaning anything. After all, anything can be ‘gourmet’ since there aren’t any requirements for this denomination. 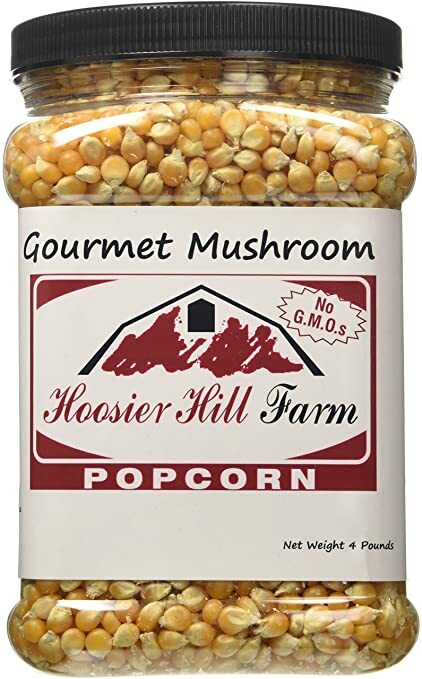 However, we feel like Hoosier Hill Farm Gourmet Mushroom Popcorns actually deserve this title as these kernels produce enormous, fluffy and crunchy popcorns every time. Perfect to be caramelized or eaten on their own. These kernels are practically hull-less once popped and the ratio of popped to unpopped popcorn is really good. Almost perfect. Of course, there’s no such thing as “perfect” and Hoosier Hill Farm’s popcorn does have its problems, such as the fact that it doesn’t work as well on popcorn poppers as it works on the stove. Now, this doesn’t mean these kernels can’t be popped in a popcorn popper, because they can, but rather that you’ll find less unpopped kernels if you use the old fashioned stovetop method. We’re not sure why. Another negative aspect is that, while these popcorns are large and fluffy, a good chunk of them don’t actually pop in the expected mushroom head shape and while the taste is still delicious, that’s kind of a disappointment. If what you’re after is the perfect mushroom head shaped popcorn then Just Poppin’ mushroom popcorn kernels are the right choice for you. The popcorn that comes out of these kernels is HUGE, soft, crunchy and delicious so it’s no surprise they’re so popular! Of course, with popularity comes a price raise because these kernels, while easy to find, aren’t exactly the most affordable out there. Because the popcorn itself is so large the hulls tend to be rather enormous so you should keep that in mind when you’re eating them. These are not hull-less and while they yield a lot of popcorn you should be prepared to get a lot of hulls. Another aspect that needs to be considered is the popping method; While these kernels pop just as well in a stovetop, microwave or popcorn popper you’ll always get the best results with the later. For some reason, using the stovetop or microwave will result on smaller, less fluffy popcorns that, while still delicious, lack the awe worthy looks of the popcorn you’ll get if you use a popper. 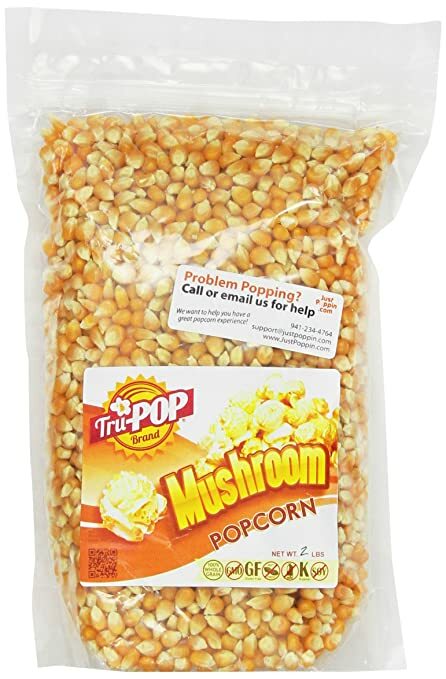 So, if size is king as far as you’re concerned and you already own a popcorn popper then look no more, Just Poppin mushroom popcorn kernels are for you! That’s it! You’re now ready to start popping your own popcorn. We’ve come to the end of our list of the best popcorn kernels and with that I’d like to ask for your opinion. What did you think of this review? Did you find the best popcorn kernels for you? Have you tried any of those brands before? There’s something fascinating about watching popcorn pop and if you don’t believe it, all you need to do is look for a slow motion video of this very phenomenon online. Sure, at plain sight you won’t be able to appreciate all the details but it’s still pretty fun to watch the kernels jump and expand. One second they’re kernels, the other they’re a fluffy popcorn. It’s almost like magic! It might not seem like it, as unpopped kernels can seem rather pricey considering to buying a single bag of popcorn whenever you feel like it but when you look at the numbers you’ll find you’re actually saving money, particularly if you’re a popcorn fiend. Not only that but when you have absolute control over the process you can go, collect the unpopped kernels and heat them up again until they turn into delicious popcorn so you end up wasting less than you would if you were using a bag. Talking about waste, by not using prepacked popcorns you’re actually helping the environment as you won’t be tossing away any bags, foil or other materials… well, there’s the container the kernels come in but that’s one container compared to dozens of bags. Plus, if you’re into recycling you can actually reuse the plastic bottle containers some kernels come in. Let’s start with the obvious. Plain kernels don’t include the same artificial flavorings and preservatives that microwave popcorn or even prepopped popcorn so that alone makes it healthier. 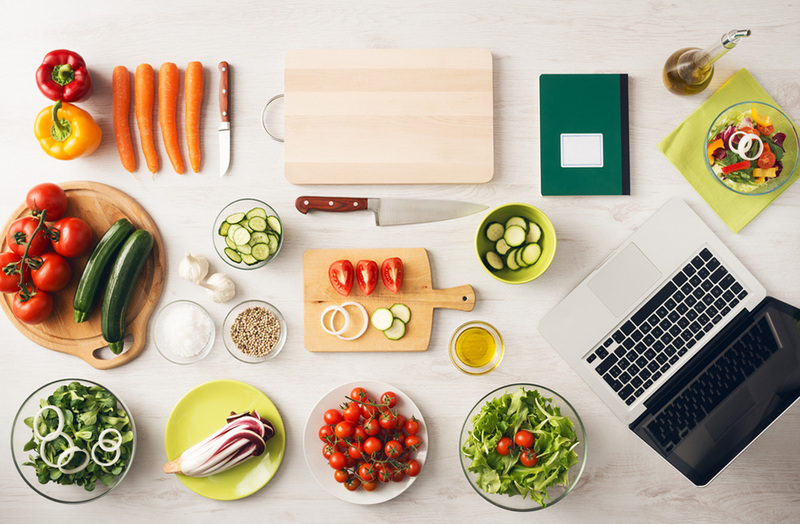 There’s also the fact that you get to choose what oil you use to pop them which means they’ll fit better your dietary needs! Furthermore, there’s also the fact that it’s much easier to control your portions when you can choose exactly how much popcorn you’ll make. No tempting leftovers for you to eat when you promised yourself you were only going to eat a cup (or two) so no worries. You can make them the way you like them! Better yet, you can experiment with all kinds of flavors! Sure, you’ll be able to find packaged popcorn in thousands of flavors but sometimes they don’t taste as you expected. Maybe the flavor is too strong, maybe it’s not strong enough. Maybe the cheese flavored popcorn needed a bit of chili powder, maybe the caramel popcorns needed more caramel…you get the idea. Plus, if you don’t live alone and have to share popcorn with the entire family then you know exactly why it’s such a good thing that every member of your family can make their popcorn the way they like it. No more fights about what flavor to choose! If we have to pick a favorite out of all the good ones, we would go with the Snappy White Popcorn! I hope this helped. Please leave us a comment. You may also enjoy reading about the best cookware for glass top stoves and the best for gas stoves.